How cute is this? 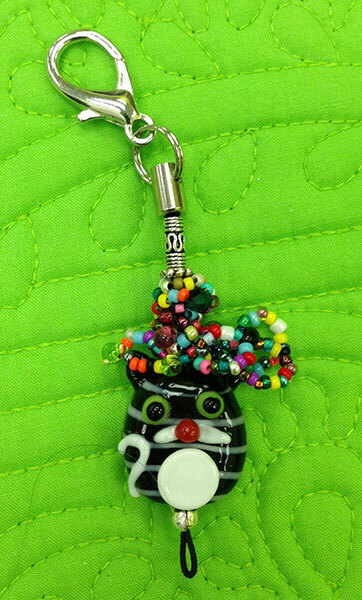 A fun lampwork bead with loopy fringe of multi-colored seed beads makes for such a fun scissor fob. It’s small, just the right size to fit in your hand. Change it up and consider hanging it as a zipper pull from your project bag. Love it! Each one is unique. 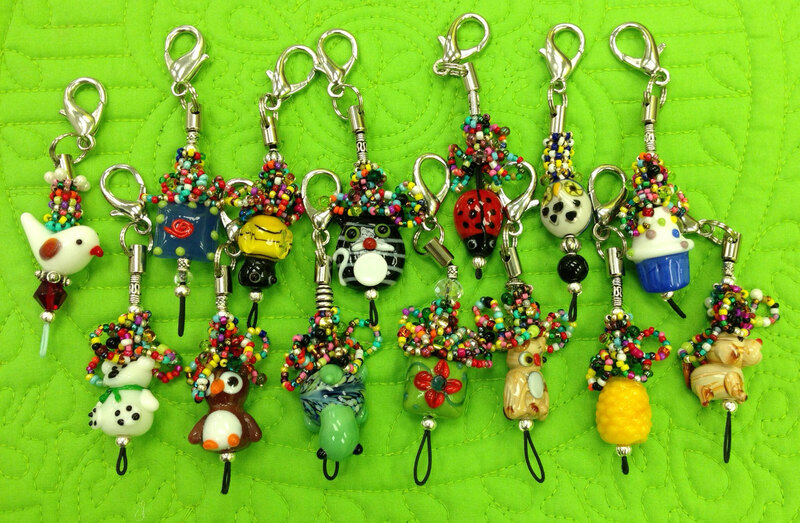 Dogs, cats, bees, bears, birds, hearts, flowers, owls, turtles and more! You can order one here, or call to see what’s available. Trust me, you will find tons of uses for these and just wait until Halloween and Christmas ones arrive!